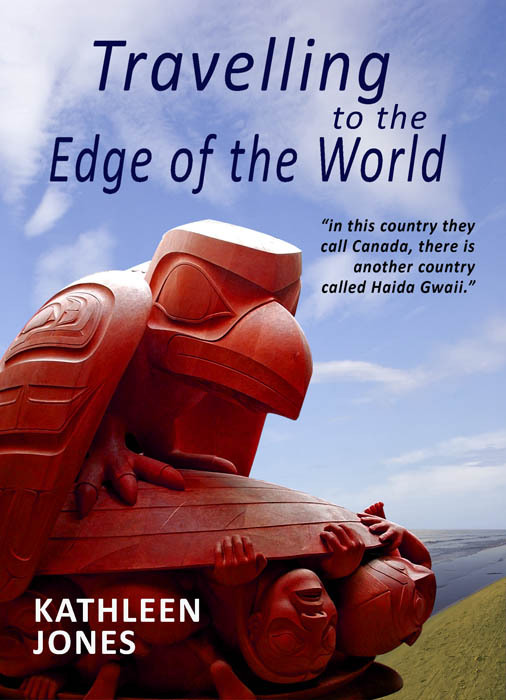 Kathleen Jones travelled to the islands of Haida Gwaii, off the northernmost coastline of British Columbia, to talk to a nation who have lived in harmony with their environment for more than ten thousand years. Their guiding principle ‘Yah’Guudang’, is about “respect and responsibility, about knowing our place in the web of life and how the fate of our culture runs parallel with the fate of the ocean, sky and forest”. The Haida Nation are at the forefront of environmental opposition to the commercial exploitation of the planet and they have a blueprint - the Haida Land Use Vision - for our survival. Avril Joy, Costa Award-winning novelist. Norman Nicholson has been described as the greatest Lake District poet since Wordsworth. In his twenties he was a protege of T.S. Eliot and won major awards alongside Ted Hughes and Seamus Heaney, who referred to him as ‘a fathering voice’. He was born in the small industrial town of Millom and lived there – in the house where he was born – until he died. Norman’s formal education was interrupted by tuberculosis at the age of 16 and he spent almost two years in a sanatorium before returning home, where he lived as an invalid in an attic room at the top of the house, reading, studying and writing. Preoccupations with his health and dependence on his parents made it difficult for him to form relationships with women. Norman was engaged to Enrica Garnier for more than ten years. A relationship with Kathleen Raine produced some of his most lyrical poetry. He was over forty when he met English teacher Yvonne Gardner and their marriage gave him security and happiness. Norman produced seven collections of poetry, a mass of literary journalism, biography, fiction and criticism as well as best-selling books on the landscape of the Lake District. He was an evangelist for provincialism, defending his life-choices against growing metro-centrism. Isolated and eccentric, he had bitter exchanges with Philip Larkin and George MacBeth. ‘Green before the word was coined’ he was a fervent environmentalist, not afraid to speak out against the dangers of nuclear power and environmental destruction, and his work has great contemporary relevance. A unique, gentle spirit with a quirky sense of humour – Norman Nicholson’s writings are among the literary treasures of the Lake District. ‘I was jealous of her writing - the only writing I have been jealous of.’ Virginia Woolf. Widely acknowledged as New Zealand’s finest writer, Katherine Mansfield has an international reputation for her short stories and for her letters and journals - which contain some of her best writing. Biographer Kathleen Jones gives a vivid portrayal of Mansfield, correcting previous misinterpretations of her illnesses and relationships, and weaving a compelling drama from the detail. The story extends further still, beyond Mansfield’s death in 1923, to include the subsequent life of her husband and editor, John Middleton Murry, Drawing astutely on Mansfield’s own letters and journals, Jones has crafted a text that is unusually intimate, providing a new kind of picture of this brilliant, original yet fragile writer. Dr. SARAH SANDLEY The New Zealand Herald. 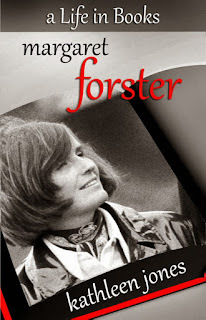 Margaret Forster is one of the UK's most prolific and respected authors. Born in Cumbria to working class parents in 1938, she wrote her first novel at the age of twenty two. Since then she has published 24 novels (and has another on the way), as well as 9 non-fiction titles - a mixture of award-winning biography and memoir. Her books are all very different - there has never been a formula to attract readers - and perhaps this is the secret of her success. Kathleen Jones, a biographer, poet and fellow Cumbrian, explores Margaret's books against the background of her life; a life divided between the quiet hills of the Lake District and the busy capital city London; between the demands of a lively family, and her own writing career. A Life in Books sets out to answer the questions readers most often want to ask. How has Margaret managed to sustain her career from the nineteen sixties best-seller 'Georgy Girl', to the Orange Prize listed 'Over' in 2006, without doing any of the author events or publicity stunts that publishers expect? Where did the idea for 'Diary of an Ordinary Woman' come from? How autobiographical are her novels? Does Margaret prefer writing biography or fiction? Is she a feminist? And above all, how has she accomplished the juggling act of family and career through a marriage that has lasted more than fifty years? Written originally with an Arts Council grant and published by Northern Lights, the book has now been updated to include all Margaret Forster’s recent publications, including illustrations, and is re-published with the author’s full consent. 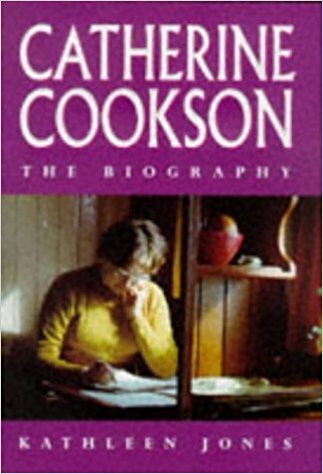 Catherine Cookson: The Biography, Time Warner, Random House Australia. "Kathleen Jones is a skilled and subtle biographer, who has written grippingly and with great empathy about female hardship and creativity"
"One of the strengths of this thoughtful, sympathetic biography is the way it reminds the reader of the destructive social insecurities of the recent past. . . It is a dramatic and unsettling story and Jones tells it with quiet tact." "Jones is probing but gentle. 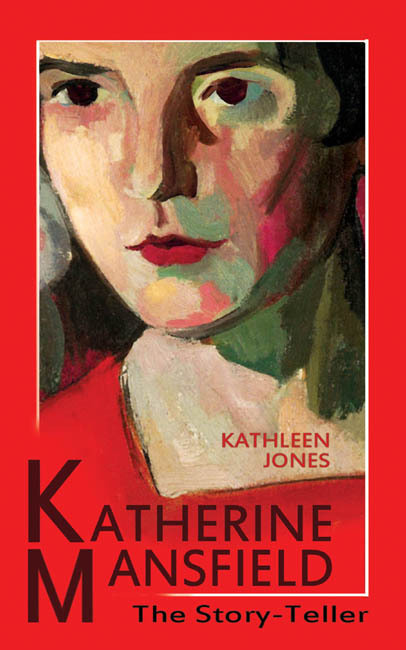 She leads us gently through the life until she reaches the moment when she can ask what she calls the serious questions, the ones at the core of Cookson's character"
"Kathleen Jones biography displays all the Cookson virtues. Her narrative is uncluttered and direct, her analysis complex and sometimes surprising. Most importantly she never condescends to her subject." "This is such a bravura exercise in biography, I would suggest Kathleen Jones not only wins her case but should be awarded costs." CHARLOTTE CORY, Times Literary Supplement"
"When the book arrived, I started to read it, and quickly saw here was a powerful biographical work of art about a woman whom everything around her conspired to turn into that proverbial rose who blushes unseen in the desert air, who withers and dies, about whom, whether distraught or not, no one cares, but who against all odds wrote her heart and intelligence out, fulfilled her gifts in visual art, and left a large body of valuable fiction and non-fiction (over 100 books). . .
. . .Thinking about the text, I’d like to say that probably this life of a working class impoverished intelligent sensitive young woman in early 20th century is probably not unusual. What is unusual is Jones’s refusal to mince words, to present reality under some kind of rose-colored glasses, stubbornly to present endless qualifications and justifications for the horrible outrageous conduct around the girl. Had Austen been able to read this book she might have been startled, but it would have (I like to think) commanded her respect." Few authors can have had a life as traumatic as Dame Catherine Cookson. Very few can so heroically have overcome such trauma - though the riches and success she achieved came at much personal cost. Her recent death allows at last a full and frank account of her life. One of the best-selling novelists in the world, Catherine Cookson's story is as dramatic as any of her novels. Born in 1906, the illegitimate daughter of a domestic servant, she was brought up on Tyneside in one of the poorest communities of the western world. Her mother once begged barefoot from door to door and they lived in constant fear of the workhouse. Catherine's childhood was marred by violence, abuse, alcoholism, shame and guilt. But Catherine was determined to escape her situation and with enormous courage and determination made her way out of the slums of her childhood. Later, after a severe nervous breakdown and a tragic series of stillbirths and miscarriages, she attempted to'write it all out'. 'The Catherine Cookson Novel' became a new literary genre and all of her 97 novels are still in print. But despite the prodigious achievement, she was still haunted by the failure of her relationship with her mother and riven by religious doubts. Her legendary success and her immense generosity are contrasted with a fuller and darker picture of her life. 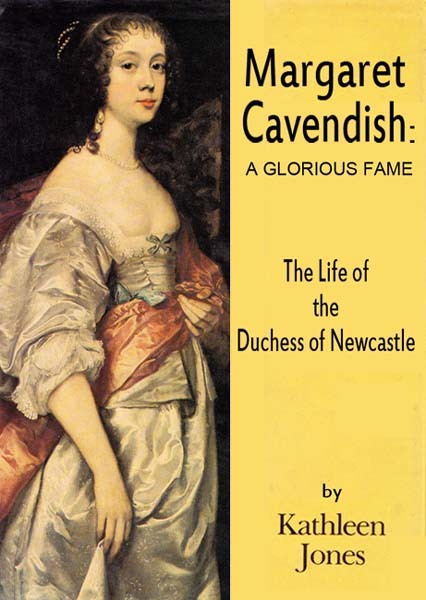 In writing this biography, many of Catherine Cookson's friends have been willing to talk to the author. But even more importantly, Kathleen Jones has had access to early drafts of Catherine Cookson's own autobiography, hitherto unseen, and hours of privately taped conversation in which she discusses much that she chose after all not to reveal during her lifetime - her tortured feelings for her mother, her mental torment and terrors, and her intense and devastating relationship with Nan Smyth - who almost succeeded in wrecking Catherine's marriage to Tom. Best-selling author Catherine Cookson created a unique and profoundly affecting literature from the personal tragedies of her working-class upbringing in the industrial North East. Now her acclaimed biographer has written an astonishing account of her search to unravel the greatest secret of Cookson's life — the truth about her father. As the story unfolds, the reader is led to an ever deeper understanding of the demons that drove Cookson to become the most popular novelist of her day. Catherine Cookson said that the shame of her illegitimacy was the driving force behind her compulsion to write. She claimed not to know who her father was but allowed people to believe that he was an aristocrat. Kathleen Jones has at last discovered the truth about the elusive 'Alexander Davies' named on Cookson's birth certificate. She tells a story as surprising and compelling as one of Cookson's own novels and reveals that Catherine not only knew who her father was, but that she used him as the bigamous hero of one of her books, The Gambling Man. Kathleen's search for the truth led her from the mining communities of the North East, to Scotland and America. It is a story of terrible poverty and of the long years of damage visited on three families by the lies and evasions of one charming man. But it is also a story of hope and of reconciliation. Cookson's biographer brings the story of her subject's life, and of the pain that made her, to a final and deeply moving conclusion. "It is the stuff your English teacher never told you . . . told with such enthralling vividness." "I . . quickly became captivated. I think Kathleen Jones has done a great job. . And she has a good deal of passion herself, tho' strictly controlled. . . her use of quotes from the women's letters etc was what I admired most. I know to my cost how hard it is to do. Her choices were always judicious - and best of all, automatically urge the reader back to the source from which they came - the aim, I always think , of all biography. . . what a wonderful story it is." " . . reading it becomes a gripping, almost addictive experience"
"Jones' group biography is a model of organisation and insight . . a lucid, calm and thoughtful account of how physical landscape shapes psychic and cultural space"
"This is a fascinating, marvellous, utterly absorbing book"
The Lake Poets, Wordsworth, Coleridge and Southey, have become a literary myth and we are used to looking at the Lake District landscape through its romantic prism. But for their sisters, wives and daughters the view was very different. The Wordsworths lived at Grasmere, the Coleridges and Southeys twelve miles away at Keswick and the women created a kind of extended family that kept the group together long after the men had ceased to be friends. Based on necessity, it was far from the harmonious rustic idyll of the myth. Dorothy Wordsworth's consuming love for her brother William forced Mary, his wife, to compete for her husband's affections for more than forty years. When Coleridge fell in love with Mary's sister, Sarah Coleridge found herself abandoned with three small children, forced to live on the charity of her brother-in-law Robert Southey. For the daughters, the 'legacy of genius' was equally destructive. Dora Wordsworth was sent to boarding school at four to learn to become 'a useful girl in the family' and was not allowed to marry the man she loved until she was thirty-seven and dying from TB. Her childhood friend, the young Sara Coleridge, had to fight disapproval, domestic conflict, unwanted pregnancy, depression, opium and morphine addiction to carve out a career as a writer and editor of national standing. 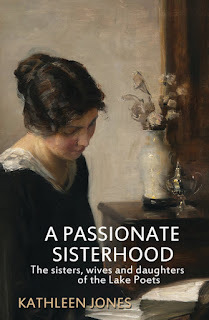 Their letters and journals form the basis for an illuminating new account of their interconnected lives - their passionate attachments, petty jealousies, the deaths of children, the realities of chronic ill health and barbaric medical practice. They also contribute to a fuller understanding of Wordsworth, Coleridge and Southey as all- too-fallible human beings. 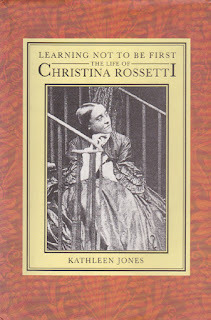 "One of the strengths of the book is the way Kathleen Jones maps the links between Christina and other women poets of the time"
"Learning Not To Be First, by Kathleen Jones, has many admirable qualities - moderation, decency, clarity of expression ...... The single focus of Jones's book does allow more room for an analysis of the poems. This she does well, in terms of elaborating her title - Learning Not To Be First - and showing that the primary key to interpreting Christina's life is an understanding of Christian forbearance." 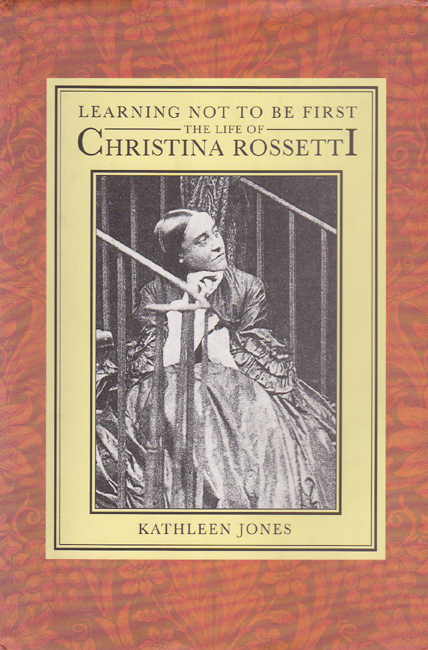 Christina was the youngest of the four Rossetti children, born in England to Italian parents. Although she and her brother, the artist Dante Gabriel, were known as the 'two storms', Christina's passionate nature was curbed in a way that her brother's was not, as she submitted to the social and religious pressures that lay so heavily on Victorian women. Like Elizabeth Barrett Browning, she suffered the tyranny of a loving family. Her sister Maria's influence was described as 'a species of police surveillance', and Christina was always careful never to write anything that would hurt her mother. Often referred to as the 'High Priestess of Pre-Raphaelitism' Christina had a genuine lyric gift that could articulate both the joy of being alive and the bitterness of loss. The loneliness of the unloved was her particular province. As her personal life became increasingly tragic, her output of religious poetry grew. Her desire for poetic excellence and moral excellence were continually in conflict and her poetry betrays the corrosive effect of this struggle. Christina's deliberate self-effacement, Dante Gabriel's portrayal of her as the meek virgin and William Rossetti's role as editor and interpreter of her work have gradually blotted out the passionate lively spirit who wrote with such simplicity and power. 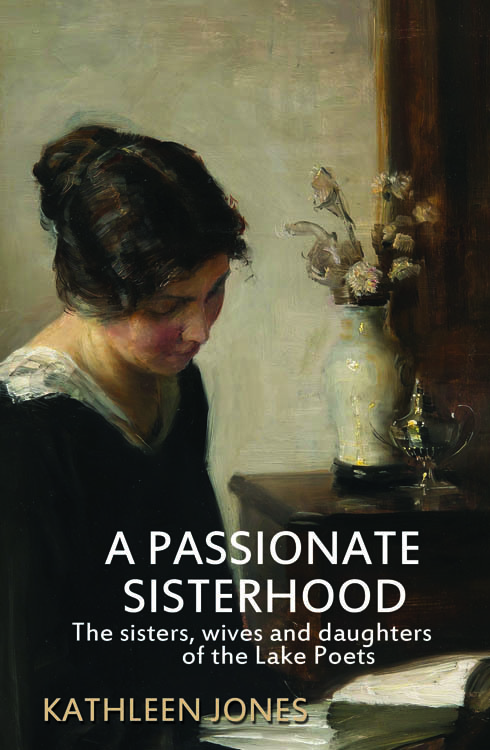 Kathleen Jones looks at her life alongside that of other nineteenth-century women writers - notably Emily Bronte, Elizabeth Barrett Browning and Emily Dickinson. ..."Well-researched and elegantly written" ........ The Observer. Margaret Cavendish was the first English woman to write specifically for publication and to consider herself primarily a writer. She cloaked her crippling shyness in extravagant dresses and an exotic public persona. A feminist long before her time, she believed in sexual equality, criticised the role that society assigned to women and even questioned the institution of marriage. Although she, like virtually all women of her time, had little formal education, she wrote, with atrocious spelling, stories, poems, essays, 'fancies’ and scientific and philosophical treatises. So controversial was her reputation that when she visited London crowds lined the streets to watch her pass. She was a solitary, gifted and outlandish figure.